The effects of fenvalerate, esfenvalerate, permethrin, cypermethrin, deltamethrin, p-chlorophenylisovaleric acid (CPIA, major metabolite of fenvalerate) and DDT, a liver tumor promoter, on gap junctional intercellular communication (GJIC) were examined in Balb/c3T3 cells by dye-transfer assay. Separate groups of Balb/c3T3 cells were exposed to the chemicals for 1 day. On the following day, GJIC was measured by counting the number of dye-transferring cells per injection of Lucifer Yellow under a fluorescent microscope. Fenvalerate, esfenvalerate, permethrin, cypermethrin, deltamethrin and DDT inhibited GJIC at noncytotoxic concentrations, while CPIA did not inhibit GJIC even, at a cytotoxic concentration. 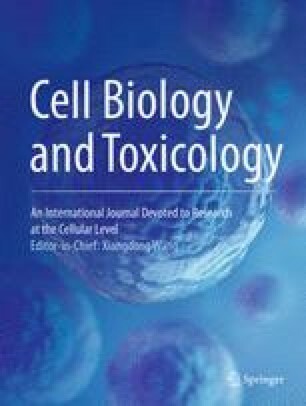 It is concluded that the examined pyrethroid insecticides, but not a metabolite, have inhibitory effects on GJIC in Balb/c3T3 cells.